My beloved brothers and sisters, my heart is full to overflowing. You and I, this memorable day, have been partakers of the Spirit of the Lord Jesus Christ. This is his church. It bears his name. His prophet has lifted each of us beyond the shackles of this earth to the lofty heavens above. Our raised hands are supported by our pledged hearts. The kingdom of God moves forward in its undeviating and eternal course. With rev’rent step and slow. And felt Him close to me! We need not visit the Holy Land to feel him close to us. We need not walk by the shores of Galilee or among the Judean hills to walk where Jesus walked. 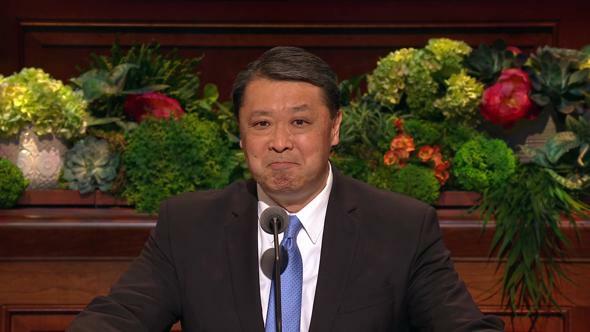 I would hope that we would walk as he walked—with confidence in the future, with an abiding faith in his Father, and a genuine love for others. Jesus walked the path of disappointment. Jesus walked the path of temptation. Jesus walked the path of pain. Likewise shall we walk the path of pain. We cannot go to heaven in a feather bed. The Savior of the world entered after great pain and suffering. We, as servants, can expect no more than the Master. Before Easter there must be a cross. While we walk these paths which bring forth bitter sorrow, we can also walk those paths which yield eternal joy. We, with Jesus, can walk the path of obedience. It will not be easy. “Though he were a Son, yet learned he obedience by the things which he suffered.” (Heb. 5:8.) Let our watchword be the heritage bequeathed us by Samuel: “… Behold, to obey is better than sacrifice, and to hearken than the fat of rams.” (1 Sam. 15:22.) Let us remember that the end result of disobedience is captivity and death, while the reward for obedience is liberty and eternal life. We, like Jesus, can walk the path of service. Like a glowing searchlight of goodness is the life of Jesus as he ministered among men. He brought strength to the limbs of the cripple, sight to the eyes of the blind, hearing to the ears of the deaf, and life to the body of the dead. Finally, he walked the path of prayer. It is by walking the path of prayer that we commune with the Father and become partakers of his power. Shall we have the faith, even the desire, to walk these pathways which Jesus walked? God’s prophet, seer, and revelator has this day invited us to do so. All we need do is follow him, for this is the pathway he walks. 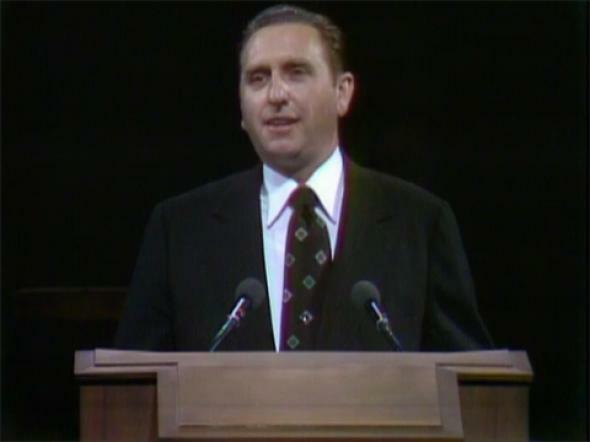 My first acquaintance with this prophet leader was 24 years ago when I served as a young bishop here in Salt Lake City. One morning, upon answering my telephone, a voice said, “This is Elder Spencer W. Kimball. I have a favor to ask of you. In your ward, hidden away behind a large building on Fifth South Street, is a tiny trailer home. Living there is Margaret Bird, a Navajo widow. She feels unwanted, unneeded, and lost. Could you and the Relief Society presidency seek her out, extend to her the hand of fellowship, and provide for her a special welcome?” This we did. In reality, the true shepherd was the concerned apostle who, leaving the ninety and nine of his ministry, went in search of the precious soul who was lost. 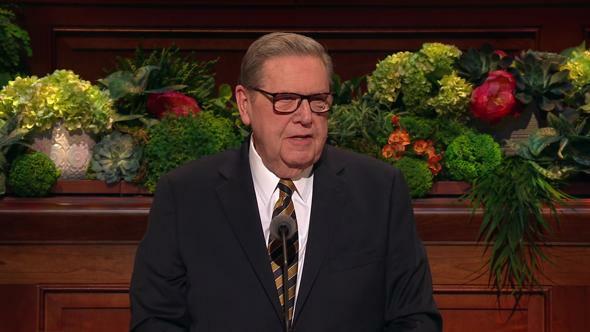 Spencer W. Kimball had walked the pathway Jesus walked. He did so then. He does so now. As you and I walk the pathway Jesus walked, let us listen for the sound of sandaled feet. Let us reach out for the Carpenter’s hand. Then we shall come to know him. He may come to us as one unknown, without a name, as of old, by the lakeside he came to those men who knew him not. He speaks to us the same words, “… follow thou me …” (John 21:22), and sets us to the task which he has to fulfill for our time. He commands, and to those who obey him, whether they be wise or simple, he will reveal himself in the toils, the conflicts, the sufferings which they shall pass through in his fellowship; and they shall learn in their own experience who he is. We discover he is more than the babe in Bethlehem, more than the carpenter’s son, more than the greatest teacher ever to live. We come to know him as the Son of God. He never fashioned a statue, painted a picture, wrote a poem, or led an army. He never wore a crown or held a scepter or threw around his shoulder a purple robe. His forgiveness was unbounded, his patience inexhaustible, his courage without limit. Jesus changed men. He changed their habits, their opinions, their ambitions. He changed their tempers, their dispositions, their natures. He changed men’s hearts. Where was Peter, who had promised to die with him and never to deny him? The sacred record reveals, “And Peter followed him afar off, even into the palace of the high priest: and he sat with the servants, and warmed himself at the fire.” (Mark 14:54.) This was the night that Peter, in fulfillment of the Master’s prophecy, indeed did deny him thrice. Amidst the pushing, the jeers, and the blows, the Lord, in the agony of his humiliation, in the majesty of his silence, turned and looked upon Peter. The passage of time has not altered the capacity of the Redeemer to change men’s lives. As he said to the dead Lazarus, so he says to you and me: “… come forth.” (John 11:43.) Come forth from the despair of doubt. Come forth from the sorrow of sin. Come forth from the death of disbelief. Come forth to a newness of life. Come forth. To his testimony I add my witness: He lives. 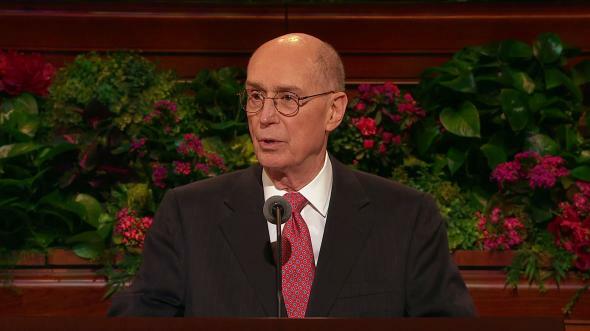 His prophet this day has been sustained—even President Spencer W. Kimball. I so testify, in the name of Jesus Christ. Amen.